Hello y’all, I’m back today with another installment in the ‘Forget Me Not’ series. This series is dedicated to showcasing my untrieds in a quick swatch and review. The polishes are all purchased by me but get moved to the back of the line when I am sent press samples. Still they need and deserve a little love, to know they are not forgotten. Today, I have 3 polishes from Potion Polish. For me in MD this a local brand from VA! 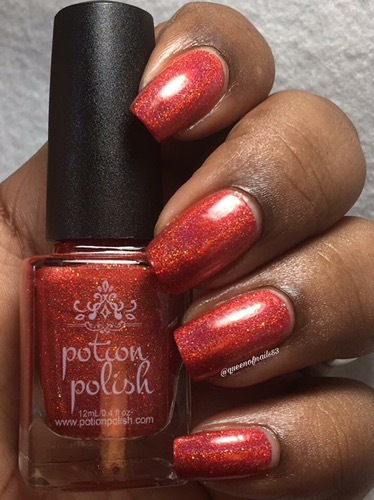 Potion Polish is owned, operated and created by Courtney and all Potion Polish uses ingredients that are 5-Free. The life of a nail polish blogger is crazy hectic and I love it so my bad that its taken so long to get these polishes, from Oct/Nov to you. A pale, pink toned crelly with scattered holo, pink to green shifting chrome flakies and pink holo glitter. Formula/Finish: smooth. No fishing for flakies and the holo flame is much more beautiful in person. Overall: Quick shipping and no CS issues to report. I can’t remember the packing, i.e. bubble wrap and/or crinkle paper, but they do come in boxes as shown in cover photo. I thoroughly enjoyed these polishes and will definitely be purchasing more. 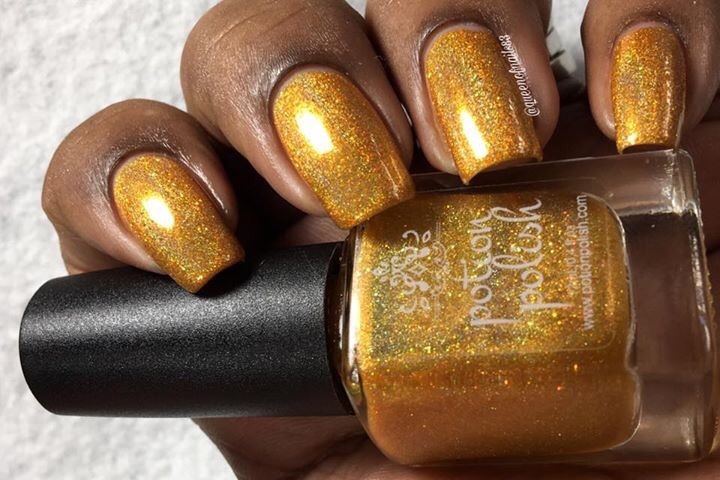 What did you think of these polishes? 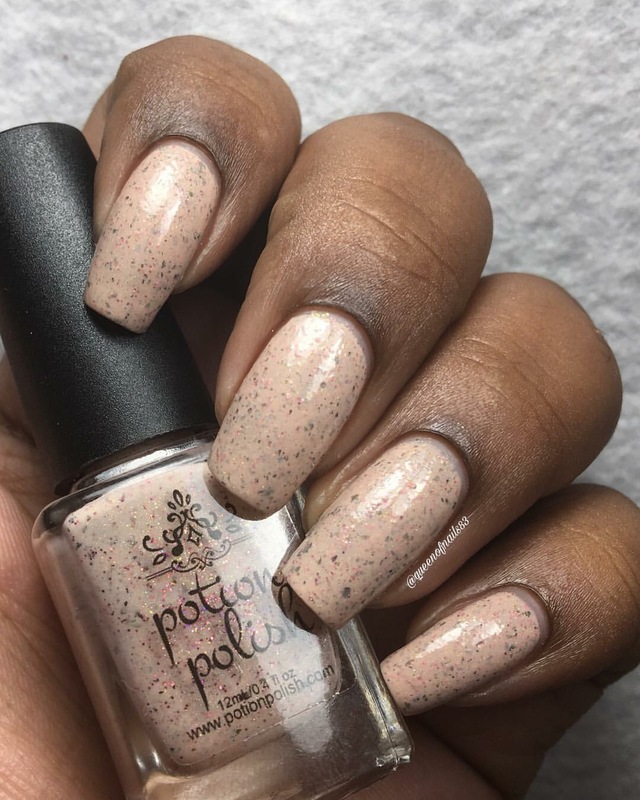 Do you own any Potion Polishes? Let me know in the comments below. Ohh, I love love love Shimmering Flats! I’ve really been into flakie crellies lately, so that’s right up my alley!